Arrive in London with plenty of time for the kids to enjoy the beautiful indoor pool and 140’ water slide at the Best Western Plus Lamplighter Inn and Conference Centre. Fuel up for the busy day ahead by ordering “The Fat Elvis” or one of the other unique breakfast features at The Early Bird. Then, make the short trip to Delaware for a family horseback trail ride at Circle R Ranch. After your ride, make a stop at Fanshawe Pioneer Village where the past comes alive with demonstrations by costumed interpreters. Grab lunch at the Pioneer Village Café and don’t forget freshly baked pie or butter tarts for dessert! 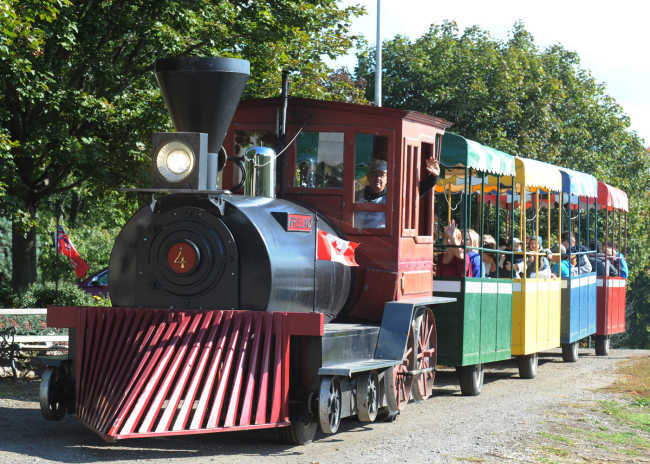 Have some old fashioned farm fun at Apple Land Station in Thorndale, where the kids can climb Sand Mountain, take a train ride through the farm, pick apples, visit with the farm animals, find their perfect pumpkin, and get lost in the corn maze. 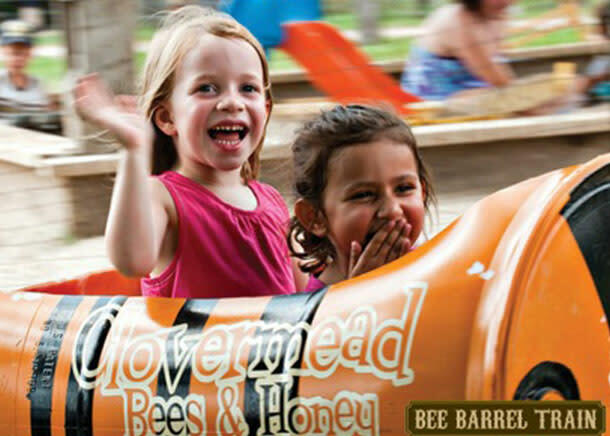 Buzz over to Aylmer for some fun at Clovermead Adventure Farm, an interactive Honey Bee Farm featuring live bee displays, pedal go-carts, a jumping pillow, gem stone mining, and more. There’s even more fun with September’s Honey Harvest Festival and October’s Pumpkin Festival. Please note that Clovermead Adventure Farm is closed on Sundays.